Karen Fleming is a Professor of Biophysics in the TC Jenkins Dept. of Biophysics at Johns Hopkins University. Dr. Fleming’s lab works in discovery to fill the scientific pipeline. Her research is motivated by the power that a deep understanding of the physics/biology intersection can bring to disease, evolution and biological design. For many years, Dr. Fleming studied the energetics of transmembrane helix-helix interactions. She developed theory to describe their association reactions, defined conditions for “forced cohabitation” of helices in micelles; and discovered thermodynamic coupling in transmembrane helix-helix dimerization. Recently, Dr. Fleming’s laboratory has turned their focus to the water-to-bilayer protein-folding problem. Using transmembrane beta-barrels, her group quadrupled the number of known membrane protein stabilities; developed a novel side chain hydrophobicity scale; and experimentally demonstrated that transfer free energies of aromatic side chains follow the polarity gradient inherent in the structure of a phospholipid bilayer. In addition to experiments, Dr. Fleming’s group uses molecular simulations to address questions of membrane protein structure in phospholipid bilayers and has applied ODE methods to develop a quantitative flux model that describes the sorting of membrane proteins in the periplasms of bacterial envelopes. Coupled with experiments, this holistic approach identifies functions of chaperones and has defined the role played by the essential BAM complex. Dr. Fleming was the inaugural recipient of the Arne Tiselius Young Investigator Award, a recipient of the Department of Defense Career Award and the 2016 Thomas E. Thompson Award from the Biophysical Society. 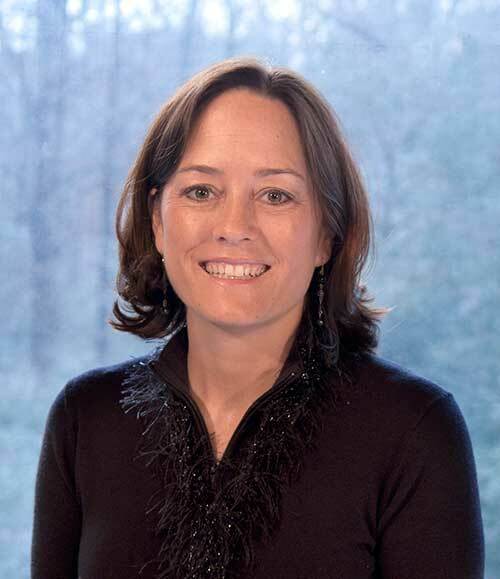 She has served on the Executive Council of the Biophysical Society, has co-chaired the national meeting of the Biophysical Society (2015) as well as Gordon Research Conferences on Biomolecular Interactions & Methods (2010) and Membrane Protein Folding (2015). In addition to her scientific accomplishments, Dr. Fleming has been awarded grants, runs workshops and gives seminars on overcoming bias and barriers to women in STEM, efforts that were recognized by an award from the Johns Hopkins Diversity Leadership Council in 2015. We use experiments and computation to study the dynamical process of membrane protein folding. Nearly one third of open reading frames encode proteins that live in membranes. These membrane proteins are essential for many biological functions including ion transport, molecular sorting, energy transduction, bacterial pathogenesis, and cell signaling. Over half of the drugs on the market today target membrane proteins, emphasizing their medical importance. Paradoxically, very little is known about how membrane proteins attain their native folds and how membrane proteins assemble into molecular complexes. What are the physical principles dictating membrane protein folding energetics in the biological lipid bilayer? What are the roles played by lipids and membrane structure in promoting protein folding? What principles for protein folding are similar between soluble and membrane proteins? How is folding accomplished in the cellular environment? What are the functions of chaperones involved in membrane protein biogenesis? Although our research is experimentally driven, we also extensively use molecular dynamics simulations and computational kinetic modeling to address these questions. Students joining the lab will have opportunities to learn both. Our experimental tools include an array of biophysical methods including analytical ultracentrifugation, fluorescence spectroscopy, circular dichroism, calorimetry, NMR, and small angle scattering. Computationally, we conduct molecular dynamics simulations as well as systems pathway modeling using differential equations and local cellular concentrations. We have computational time on local servers as well as national resources (XSEDE and Anton). Our most recent work has resulted in a novel hydrophobicity scale that describes the free energy of transfer of amino acid side chains from water to the bilayer in the context of a natively folded protein. We are currently determining the bilayer-depth dependence of these free energy changes, and we are exploring the generality of our results by experiments on a variety of different membrane proteins. We also interrogate membrane protein folding kinetics in the presence and absence of biological chaperones. Fleming PJ & KG Fleming (2018) Hullrad: “Fast Calculations of Folded and Disordered Protein and Nucleic Acid Hydrodynamic Properties” Biophys J114: 856-869. PMID: 29490246. KG Fleming(2018) “Taking Deterministic Control of Membrane Protein Monomer-dimer Measurements” J Gen Physiol 150: 181-183. PMID: 29343502. Danoff EJ and KG Fleming (2017) “Novel kinetic intermediates along the folding pathway of OmpA” Biochemistry10;56(1):47-60. doi: 10.1021/acs.biochem.6b00809. Epub 2016 Dec 21. McDonald SK and KG Fleming (2016) “Negative charge neutralization in the loops and turns of outer membrane phospholipase A impacts folding hysteresis at neutral pH” Biochemistry 55: 6133-6137. PMID: 27731977 DOI: 10.1021/acs.biochem.6b00652; PMCID: In Progress. Costello SM, Plummer AM, Fleming PJ & KG Fleming (2016) “Dynamic Periplasmic Chaperone Reservoir Facilitates Biogenesis of Outer Membrane Proteins” PNAS 113: E4794-800. PMID: 27482090; PMCID: PMC4995976. Plummer AM and KG Fleming (2016) “From Chaperones to the Membrane with a BAM!” Trends Biochem. Sci.41:872-882. This article was highlighted on the cover of the October 2016 issue. PMID: 27450425; PMCID: PMC In Progress; DOI: 10.1016/j.tibs.2016.06.005. McDonald SK and KG Fleming (2016) “Aromatic Side Chain Water-to-Lipid Transfer Free Energies Show a Depth-Dependence Across the Membrane Normal” J. Am Chem. Soc. 138: 7946-50. PMID: 27254476; PMCID: 4927395; DOI: 10.1021/jacs.6b03460. Fleming PJ, Patel DS, Wu EL, Qi Y, Yeom MS, Sousa MC, Fleming KG and W Im (2016) “BamA POTRA Domain Interacts with a Native Lipid Membrane Surface” Biophys. J. 110: 2698-2709. PMID: 27332128; PMCID: PMC4919588 DOI: 10.1016/j.bpj.2016.05.010. McDonald SK and KG Fleming (2016) “Aromatic Side Chain Water-to-Lipid Transfer Free Energies Show a Depth-Dependence Across the Membrane Normal” Am Chem. Soc. In Press. PMID: 27254476; PMCID: In Process. Zaccai NR, Sandlin CW, Hoopes JT, Curtis JE, Fleming PJ, Fleming KG and S Krueger (2016) “Deuterium labeling together with contrast variation small-angle neutron scattering suggests how Skp captures and releases unfolded outer membrane proteins” (2015) Methods Enzymol 566 159-210. PMID: 26791979; PMCID: In Process. Sandlin CW, Zaccai NR and KG Fleming (2015) “Skp trimer formation is insensitive to ionic strength” Biochemistry54: 7059-7062. PMID: 26579730; PMCID: In Process. Plummer AM and KG Fleming (2015) “BamA Alone Accelerates Outer Membrane Protein Folding In Vitro through a Catalytic Mechanism” Biochemistry 54: 6009-6011. PMID: 26394056; PMCID: PMC4613867. Danoff EJ and KG Fleming (2015) “Membrane defects accelerate outer membrane b-barrel protein folding” Biochem 54: 97-99. PMID: 25513891; PMCID: PMC4303321. Wu EL, Fleming PJ, Yeom MS, Widmalm G, Klauda JB, Fleming KG and W Im (2014) “E coli Outer Membrane and Interactions with OmpLA” J. 106: 2493. PMID: 24896129; PMCID: PMC4052237. Gessmann D, Chung YH, Danoff EJ, Plummer AM, Sandlin CW, Zaccai NR and KG Fleming (2014) “Outer membrane b-barrel protein folding is physically controlled by periplasmic lipid head groups and BamA” PNAS 111: 5878-93. PMID: 24715731; PMCID: PMC4000854. Fleming KG (2014) “Energetics of Membrane Protein Folding” Ann Rev Biophys 43: 233-55. PMID: 24895854; PMCID Pending. Moon CP, Zaccai NR, Fleming PJ, Gessmann D and KG Fleming (2013) “Membrane protein thermodynamic stability may serve as the energy sink for sorting in the periplasm” PNAS 110: 4285-4290. PMID: 23440211; PMCID: PMC3600475. Buchanan SK, Yamashita Y and KG Fleming (2012) “Structure and folding of outer membrane proteins” in Comprehensive Biophysics EH Egelman and LK Tamm, Oxford: Academic Press Vol 5: 139-163. Moon CP, Kwon S and KG Fleming (2011) “Overcoming hysteresis to attain reversible equilibrium folding for outer membrane phospholipase A in phospholipid bilayers” J. Biol. 413: 484-494. PMID: 21888919; PMCID: PMC3193555. Fleming PJ, Freites JA, Moon CP, Tobias DJ and KG Fleming (2011) “Outer membrane phospholipase A in phospholipid bilayers: A model system for concerted computational and experimental investigations of amino acid side chain partitioning into lipid bilayers” BBA Biomembranes 1818: 126-134. PMID: 21816133; PMCID: PMC3233656. Danoff EJ and KG Fleming (2011) “The soluble, periplasmic domain of OmpA folds as an independent unit and displays chaperone activity by reducing the self-association propensity of the unfolded OmpA transmembrane b-barrel” Chem. 159: 194-204. PMID 21782315; PMC3169180. “We choose to go to the membrane” PNAS (2011) 108(25) 10027-10028. Burgess, N.K., T.P. Dao, A.M. Stanley, and K.G. Fleming. (2008) Beta-barrel proteins that reside in the E. coli outer membrane in vivo demonstrate varied folding behavior in vitro. J. Biol. Chem. 283:26748-26758. Mackenzie, K.R., and K.G. Fleming. (2008) Association energetics of membrane spanning alpha-helices. Curr. Opin. Struct. Biol. 18:412-419. Stanley, A.M., and K.G. Fleming. (2008) The process of folding proteins into membranes: challenges and progress. Arch. Biochem. Biophys. 469:46-66. Burgess, N.K., A.M. Stanley, and K.G. Fleming. (2008) Determination of membrane protein molecular weights and association equilibrium constants using sedimentation equilibrium and sedimentation velocity. Methods Cell Biol. 84:181-211. Stanley, A.M., and K.G. Fleming. (2007) The role of a hydrogen bonding network in the transmembrane beta-barrel OMPLA. J. Mol. Biol. 370:912-924. Stanley, A.M., A.M. Treubrodt, P. Chuawong, T.L. Hendrickson, and K.G. Fleming. (2007) Lipid chain selectivity by outer membrane phospholipase A. J. Mol. Biol. 366:461-468. Ebie, A.Z., and K.G. Fleming. (2007) Dimerization of the erythropoietin receptor transmembrane domain in micelles. J. Mol. Biol. 366:517-524. Stanley, A.M., P. Chuawong, T.L. Hendrickson, and K.G. Fleming. (2006) Energetics of outer membrane phospholipase A (OMPLA) dimerization. J. Mol. Biol. 358:120-131. Kroch, A.E., and K.G. Fleming. (2006) Alternate interfaces may mediate homomeric and heteromeric assembly in the transmembrane domains of SNARE proteins. J. Mol. Biol. 357:184-94. Fleming, K.G. (2005) Analysis of membrane proteins using analytical ultracentrifugation. (Invited book chapter) Analytical Ultracentrifugation, Techniques and Methods, (Scott DJ, Harding SE, & Rowe AJ, Eds.) Royal Society of Chemistry Publishing, Cambridge, UK. Stanley, A.M. and K.G. Fleming. (2005) The transmembrane domains of the ErbB receptors do not dimerize strongly in micelles. J. Mol. Biol. 347:759-772. Kobus, F.J. and K.G. Fleming. (2005) The GxxxG-containing transmembrane domain of the CCK4 oncogene does not encode preferential self-interactions. Biochemistry 44:1464-1470. Doura, A.K. and K.G. Fleming. (2004) Complex interactions at the helix-helix interface stabilize the glycophorin A transmembrane dimer. J. Mol. Biol. 343:1487-1497. Raasi, S., I. Orlov, K.G. Fleming and C.M. Pickart. (2004) Binding of polyubiquitin chains to ubiquitin-associated (UBA) domains of HHR23A. J. Mol. Biol. 341:1367-1379. Doura, A.K., F.J. Kobus, L. Dubrovsky, E. Hibbard and K.G. Fleming. (2004) Sequence context modulates the stability of a GxxxG mediated transmembrane helix-helix dimer. J. Mol. Biol. 341:991-998. Fleming, K.G., C.C. Ren, A.K. Doura, F.J. Kobus, M.E. Eisley and A.M. Stanley. (2004) Thermodynamics of glycophorin A transmembrane helix-helix association in C14 betaine micelles. Biophys. Chem. 108:43-49. Fleming, K.G. (2002) Standardizing the free energy change of transmembrane helix-helix interactions. J. Mol. Biol. 323:563-571. Vergis, J.M., K.G. Bulock, K.G. Fleming and G.P. Beardsley. (2001) Human AICAR transformylase/IMP cyclohydrolase: A bifunctional protein requiring dimerization for transformylase activity but not for cyclohydrolase activity. J. Biol. Chem. 276:7727-7733. Trombetta, E.S., K.G. Fleming and A. Helenius. (2001) Quaternary and domain structure of glycoprotein processing glucosidase II. Biochemistry 40:10717-10722. Fleming, K.G. and D.M. Engelman. (2001) Specificity in transmembrane helix-helix interactions defines a hierarchy of stability for sequence variants. Proc. Natl. Acad. Sci. USA 98:14340-14344. Fleming, K.G., and D.M. Engelman. (2001) Computation and mutagenesis suggest a right-handed structure for the synaptobrevin transmembrane dimer. Proteins 45:313-317.